We are consuming an increasing amount of starch, sugar and fats and less of the essential foods I.e vegetables and fruits as nutritionists advise. And for this, we are paying a heavy price in terms of increased expenditure on treating diseases that arise from unbalanced meals, loss of life, rather prematurely and misallocation of public resources towards the health sector instead of channelling the funds to development purposes. 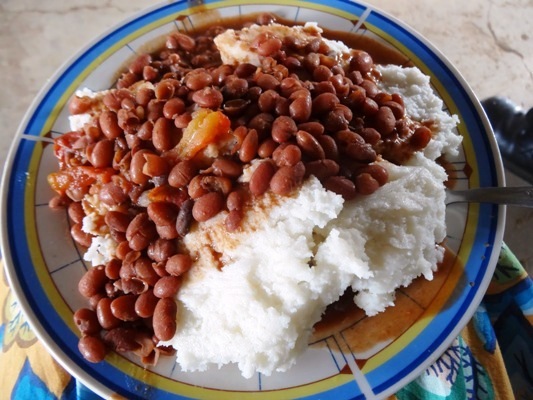 According to Prof. Archileo Kaaya, the Head of the Department of Food Science and Technology, consumption of maize (mostly as flour) has increased to about 25% of our daily meals, a dramatic change from the past. Findings by this paper indicate that the growing consumption of sugars and starchy foods is a global threat arising mostly from policies that promote and subsidize production of cereals, sugar and fats.